Talk to us about how we can help you downsize with ease and maximise your property’s potential, with our stress-free services. At Papillon Styling, we help you coordinate the entire project, helping you through the downsizing journey and realising the maximum value from your property. Projects include everything you need from decluttering, charity pick-ups, rubbish removal, furniture removal and hire, all trades and services, and colour selections. Talk to us about how we can help you maximise your property’s potential with our stress-free service. 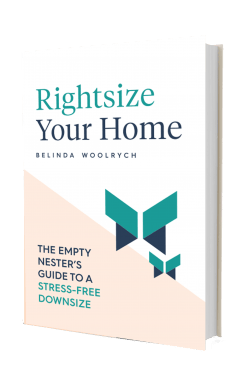 At long last, we have the ultimate guide to planning, managing, and yes, even enjoying a downsize move from the family home!